David Le/Gloucester Daily Times. 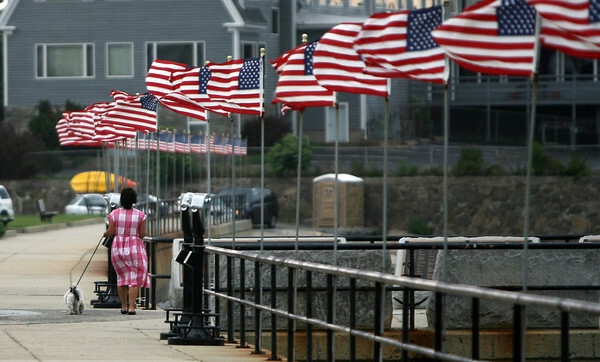 A woman walks her dog along Stacy Boulevard as a strong wind whips through the American flags that line the walkway by the ocean. 8/19/11.